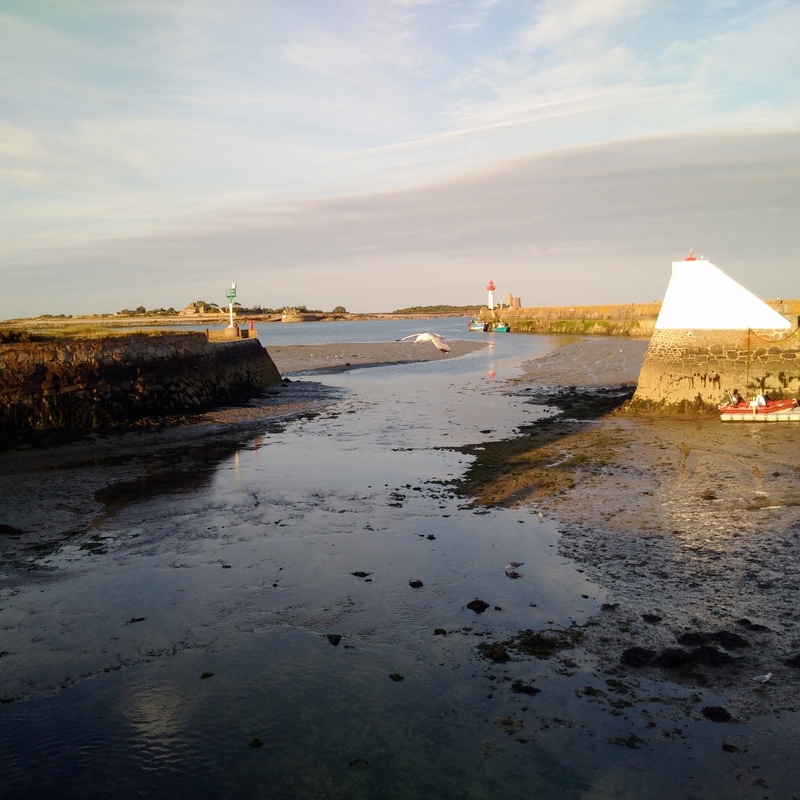 My crew has declared that both our last port of call, St Vaast la Hougue, has been the best place we have visited so far and that this entire Summer the best she has ever experienced. I have to agree that this is always a lovely place to visit and we have been having a great time on Lady Martina which is ideally suited to these cruises around Europe. However, time and tide as they say ... and so we had to move on and we had chosen another fine, sunny and calm day for the next leg of our Normandy cruises to Grandcamp Maisy, a location steeped in history as being close to Pointe de Hoc and Omaha Beach which are the first two locations we can visit that played such a significant role in the 'D-day' Liberation in 1944. A short early afternoon passage of just 15nm and two hours at low speed was planned to take advantage of the following tide and the fact that high water times are successively later as we cruise West to East along the Rade de la Capelle Normandy Bay. We had to have enough water to cruise over the rocky plateau that guards the entrance to Grandcamp Maisy harbour but it is a great smooth slab of rock of approximate drying depth of 1 to 2m that is well covered by high tides which are necessary to approach the port 2hrs 30mins each side of high water (or 1hr 30mins in lesser tides). Even so, we stuck closely to the specified approach bearing, given that strong growth of weed elsewhere is known to be a hazard. 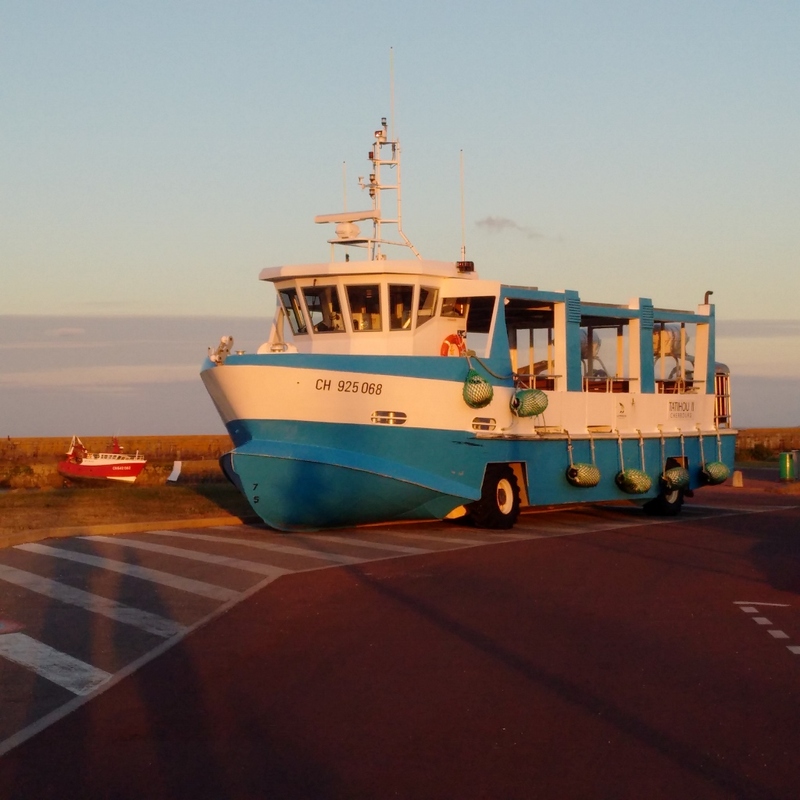 We left St Vaast soon after the tidal gate opens around HW-2hrs which was 1300 LT and then arrive at Grandcamp two hours later just around HW there at 1500LT and so timed the entrance well. Our new venue is well known as a small but friendly seaside port where both pleasure yachts and fishing vessels co-exist happily together. The sole harbourmaster does the essential maintenance, mans the office and provides a warm welcome to visiting boats but that does not extend to answering the VHF Ch9 in English but we made our way in and moored to the hammer-head on the visitors pontoon C. We had been on the same cruising plan as trawler yacht, 'R-Escape' who we preceded into the port and then invited to raft alongside us for the night. 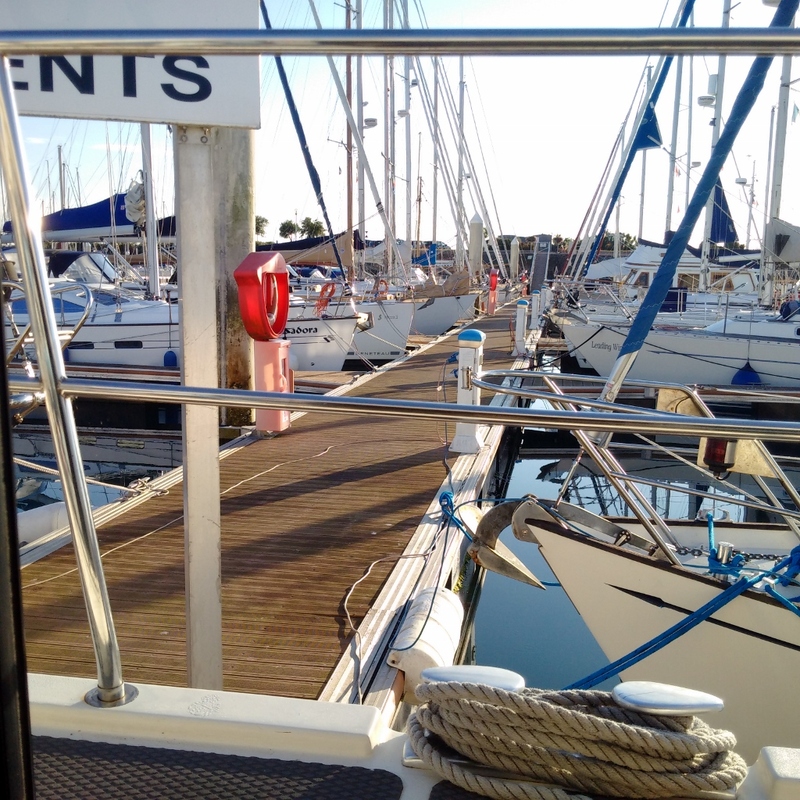 We had awoken to a still and sunny morning on the day of the cruise and the weather was forecast to be fair with good visibility with wind of 6-8kn from the WNW to follow our passage and tide with seas state smooth/slight and a slight swell of 0.4/5m predicted. In the event, we had winds of less than 8kn with smooth seas and good visibility. Temperatures were warm at 21 to 26degC.